According to China's Sina.net, Nokia will hold a press conference in China on January 7. Allegedly, that is when Nokia will announce the Chinese release date for its N1 Android tablet. Sources quoted by the publication claim that the N1 will hit local retailer shelves by the end of January. 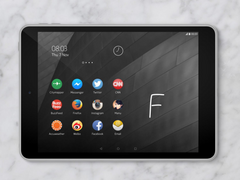 The Nokia N1 is expected to cost the equivalent of roughly $250, a good price considering what the tablet has to offer. The Nokia N1 comes with a 7.9-inch display (protected by a layer of Corning's Gorilla Glass 3) running a resolution of 2048 by 1536 pixels, a 64-bit Intel Atom Z3580 quad-core processor from Intel's new Moorefield chip generation with a turbo speed of 2.3GHz, 2GB of RAM, and 32GB of internal memory. The main camera is an 8MP sensor, and the N1 also comes with a secondary 5MP camera. All of these specs will be powered by a 5300mAh battery. On the software side, the Nokia N1 runs Android 5.0 Lollipop overlaid with Nokia's own Z Launcher. The specs are up there with the best of them, but the Nokia N1 also comes with a premium aluminum unibody which measures just 6.9 mm in thickness and tips the scales at 318 grams. At the moment, only the best Android tablets can survive a head to head comparison with the Nokia N1. 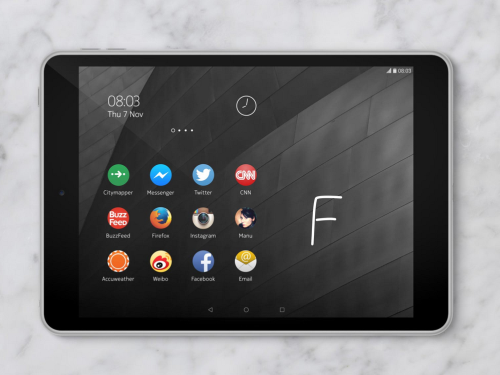 Back in November when Nokia unveiled the N1 Android Tablet, the company stated that the Foxconn-manufactured tablet will initially launch in China, with other markets scheduled to get the tablet at a later date. If the company does indeed announce the Chinese release date on January 7, we'll probably learn more about the global release as well.